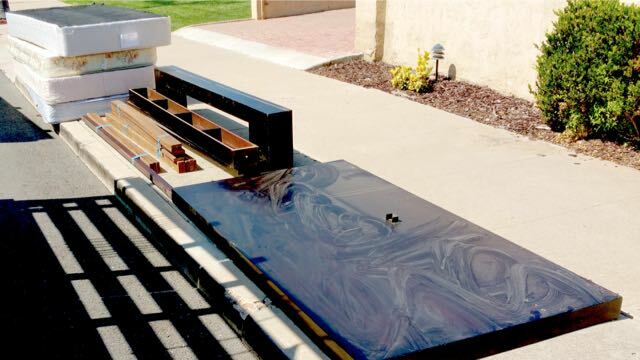 All of the junk removals on this page were done for under $99. 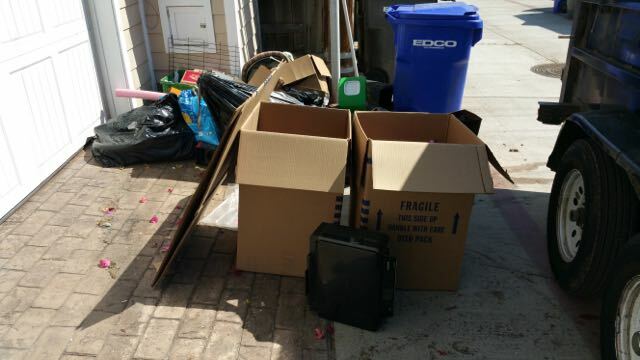 Fred’s Junk Removal delivers quality service at the lowest prices in San Diego. 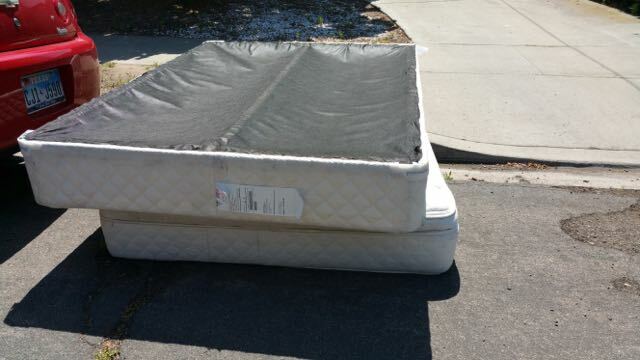 We hauled away these box springs, mattresses and bed frame for only $99 from the curbside. 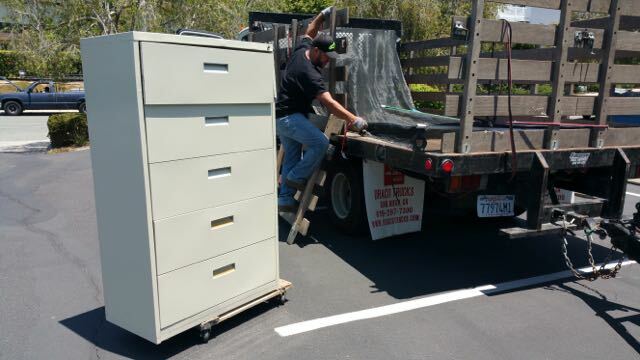 This was a full service removal of a filing cabinet. We charged $79 for the removal. 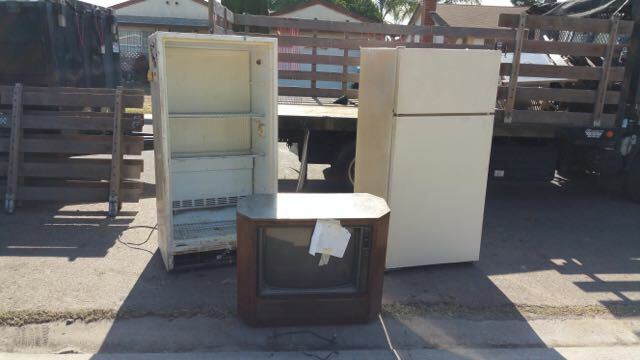 This curbside removal of two refrigerators and a console TV cost $99. We recycled all three.